Après 6 mois de bons et loyaux services, l’ATV Jules Verne va tirer sa révérence. La scène se déroulera le 29 septembre prochain au dessus du Pacifique sud. 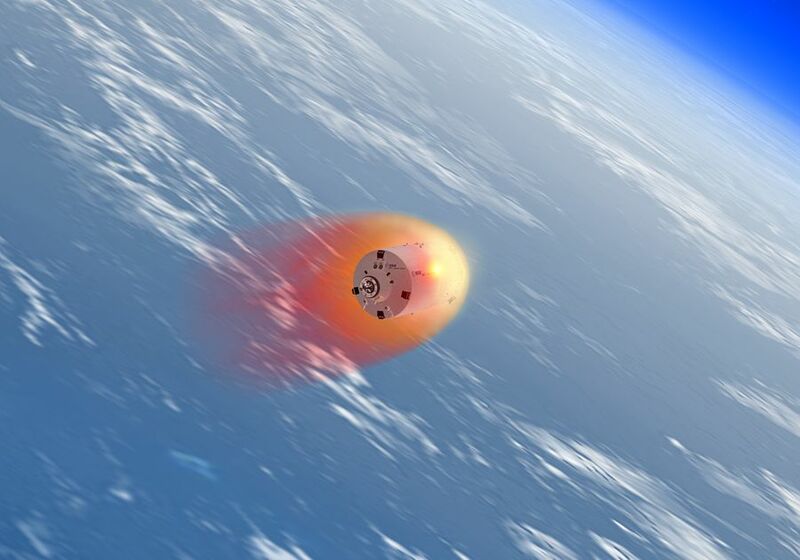 “As it will be the ATV’s 1st atmospheric re-entry, we want to track it closely so we can refine our models,” said Burkhard Jelineck, ATV Flight Director at CNES. Paradoxically, the best way to track a spacecraft as it breaks up in the atmosphere is to observe it at night with infrared cameras, using its altitude and the stars as a guide. The break-up of the ATV during re-entry will be observed at night using infrared cameras. Credits: ESA/Ill. D. Ducros, 2007. The ATV undocked from the International Space Station on 5 September. 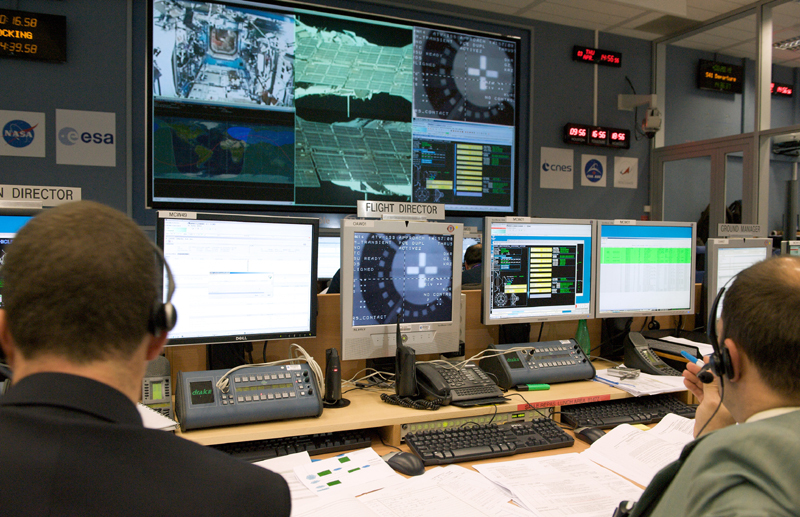 Everything went according to plan under the watchful eye of the ATV Control Centre (ATV-CC) at CNES’s Toulouse Space Centre. But a few days later an uninvited guest called, requiring teams to perform an unplanned manoeuvre. The ATV-CC in Toulouse kept a close eye on undocking operations. Credits: CNES/B. Guindre, 2008. In the end, Houston didn’t have to shut down power and the avoidance manoeuvre went off without a hitch. Another manoeuvre, initially scheduled 15 September but delayed to 17 September, adjusted the ATV’s trajectory with respect to the ISS to bring the cargo vessel gently to its re-entry point over the South Pacific. The ATV-CC. Credits : CNES/S. Girard, 2008. Monday 29 September, Jules Verne will be deorbited to a perigee of about 120 km as it completes 2 full revolutions of Earth in 90 minutes. A 2nd manoeuvre will then take it to perigee 0 at 14:05 CET. Under the pull of Earth’s gravity, the ATV will plunge into the atmosphere for 20 minutes and break up as a result of the intense heat (sometimes exceeding 2,000°C) and vibrations. L'ATV va se désintégrer le 29 septembre sous l'effet de la température et des vibrations pendant la traversée de l'atmosphère. Crédits : ESA/Ill. The ATV has performed masterfully on its 1st flight. “For ISS resupply missions, we can’t see where we can improve the spacecraft much more,” says Burkhard Jelineck. A 2nd ATV is expected to launch in 2010.